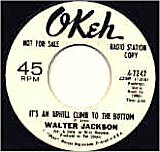 Walter Jackson first came to my attention on the UK LP Chartbusters USA issued on Columbia SX 6016. 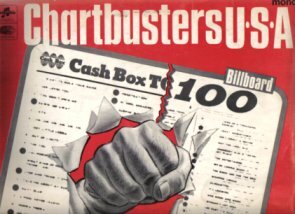 The record had remained unsold in a record shop in Plumstead, and had been put into the bargain box when I came across it. Apart from Major Lance the artists were all new to me, but when I saw the Okeh logo I had to purchase the LP. Having paid the 8 shillings & 6 pence I hurriedly went home to play the record. It was 1966 and this was to become my favorite LP and my introduction to Chicago soul, as distinctive as Motown was to Detroit. The artists included Major Lane, The Vibrations, Ted Taylor, Billy Butler and the Enchanters, and The Artists. Walter Jackson had two tracks on the album "I'll Keep On Trying", and "Where Have All The Flowers Gone" a folk song given the Soul treatment by a singer with such a distinctive voice. I was keen to find out more. Walter Jackson was born on 19 March 1938, in Pensacola, Florida, USA. He recorded in 1959 as a member of the Velvetones. Crippled by polio as a 5 year old child, he spent much of his life on crutches. 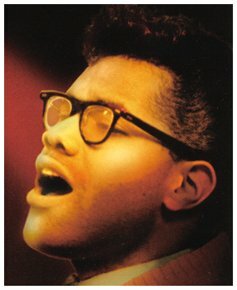 His first solo record was on Deb 1008, Who Took My Girl / Stars Of Wonder relesed in 1959. One night in 1962 the record producer Carl Davis was in a Detroit night club when Walter Jackson began to perform. Listening to him sing he had not noticed that he was on crutches. He was singing club standards in the same vein as Nat King Cole. Davis was to invite Jackson to Chicago to record for Okeh. Linking up with song writer/singer Curtis Mayfiled hits were soon to follow. Thats What Mama Say, produced by Davis and Mayfield, was issued in 1963 followed by Its All Over in 1964. Both songs were arranged and conducted by Riley Hampton, who became a great friend of Jackson's. In 1965 Welcome Home reached No 15 in the R & B chart, and Suddenley I'm All Alone reached No 13. In 1966 the production changed and Ted Cooper in New York produced Speak Her Name and Its An Uphill Climb To The Bottom which peaked at No 11, his biggest hit. It was a soulful ballard with a big band production with a vocal full of passion and pain. The following year, 1967, came My Ship Is Comin' In, sadly it did not chart for Jackson but was a hit for the Walker Brothers in the UK. He later recorded for Cotillion, Brunswick and Chi-Sound labels. In 1982 Kelli-Arts label (1006) issued Touching In The Dark / If I Had A Chance which became a modern Northern Soul sound. Walter Jackson died of a cerebral haemorrhage in 1983 in Chicago. His music will live on, the big band sound that became the Soul of Chicago.